Bibby Financial Services is the UK’s leading independent invoice finance specialist and a trusted provider of funding solutions to over 7,000 businesses. As a privately-owned business, we understand the challenges and demands of running and growing a business. Through our network of 19 local offices, we handle annual client turnover of £5 billion and lend in the region of £483m to small and medium sized businesses throughout the country. Formed in 1982, we are members of the Asset Based Finance Association (ABFA) and support businesses in over 300 industry sectors. In 2011, 2012, 2014, 2015 and 2016 the company was awarded a place in The Sunday Times 100 Best Companies to Work For, ranking 31st in the most recent poll. 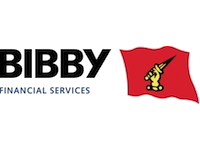 Bibby Financial Services is supported by a parent company, the 208-year old Bibby Line Group, a business-to-business services group involved in logistics, shipping and ship management, floating accommodation, hydrographic survey and geophysical services, offshore project management, retail, woodland burials and construction equipment hire. Bibby Financial Services has a track record of delivering fast funding solutions to businesses just like yours. These solutions are always tailored to the specific requirements of the business. We are the largest independent factoring and invoice discounting company in the UK and have been helping businesses for over 30 years. This experience allows us to offer a level of expertise and personalisation that traditional funding providers and banks often cannot match. We also have dedicated local teams of finance specialists who can offer you the best tailored finance solutions for your business. Bibby Financial Services is delighted to have received the accolade of one of the Sunday Times Top 100 Companies to Work for 2011, 2012 and 2014. “We’re in a fantastic position to grow business in the UK and abroad with Bibby"
Bibby Financial Services has a network of 19 operating units throughout the UK and Ireland meaning we can deliver rapid, on the ground decision making from our network of local companies allowing decisions to be delivered quickly and efficiently.